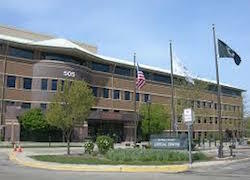 My client is facing a DUI at the Skokie Courthouse in Cook County. This is the first arrest ever for my client. As a condition of her bond, the client is not allowed to leave the jurisdiction without approval from the court. About a week after her arrest, my client’s husband had a heart attack. My client’s husband has recovered. Over the weekend, my client’s children surprised her and her husband with tickets to Montego Bay, Jamaica. The client looked over her bond slip and saw that the slip warned her not to leave Illinois without approval from the court. My client called me on Sunday and by Tuesday I went to the Skokie Courthouse, had her case brought before the court, and got her permission to travel to Jamaica with her husband without any fear that she would be accused of violating the conditions of her bond. By hiring us, our client was able to enjoy a great family vacation, and have those memories forever. Call us if you got arrested before a vacation and need help getting permission to leave the state. A Chicago Police car was flagged down by a citizen and told that a vehicle that looked like an unmarked police vehicle attempted to pull over another vehicle in traffic. The officer drove around the area of the sighting and noticed the vehicle that matched the description in traffic. He lost sight of the vehicle for a small period of time but eventually located it. He curbed the vehicle and called for additional units. After additional units arrived, they made my client exit his vehicle. When he exited the vehicle, they noticed that he had on him a full duty nylon belt, a holster containing a loaded Beretta handgun with 15 live hollow point rounds, 2 fully loaded jackets each containing 15 hollow point rounds, a radio pouch, 2 handcuff cases, a radio pouch, collapsible baton, a level 3 retention holster, a bullet proof vest with a 5 point star A.S.S. Tactical and name designation, and 2 empty 15 round magazines. The police placed my client under arrest. They looked inside the vehicle, a black 1999 Ford Crown Victoria, and found a Bushnell Radar Gun, working police siren and air horn, a police mounted radio, a mounted computer, and a mounted empty rifle/shotgun rack. My client gave the police a P.E.R.C. (TAN) card and identification indicating that he was an armed security guard. He also gave the police an FOID card which had expired about 9 months earlier. Since my client did not have a valid FOID card, this made his P.E.R.C. (TAN) card invalid and he was charged with an Aggravated UUW. One of the counts was a Class X felony carrying a minimum of 6 years and a maximum of 30 years in prison without the possibility of probation. The Class X felony was because of the bullet proof vest which made the UUW a Class X felony. The state was unwilling to reduce the Class X and we had to file several motions and heavily litigated the case to try to find a way to avoid having a Class X felony apply to my client's case. At the same time I obtained mitigation material and embarked on an aggressive attempt to get the state to reduce the charges. 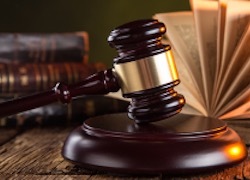 Making our case even more difficult was that I had taken over the case from another attorney who had done very little work on the case and was trying to get the client to accept an offer of 9 years in prison with very little effort to try to obtain a better result and offer. At the end of the day my efforts were successful and I was able to convince the state to reduce the Class X felony to a Class 4 and my client accepted an offer of 3 years in prison. This is very difficult to do in Cook County with all the negative publicity surrounding the high incidents of gun violence in Chicago. My client was grateful that he could be out of prison in as little as 18 months and not the 6 to 30 years that he had been facing all this time. Not to mention the 9 years that his old attorney was trying to get him to accept. If you have an Attorney who you don’t feel is working hard enough for your freedom. Contact us today! My client was arrested for a retail theft a few days ago. His first court date is over a month away at the Cook County Courthouse at Belmont and Western. My client is 69 years old and has no criminal record. At the time of his arrest, my client had airline tickets to travel to Florida for a week long vacation with his family, just a few days after his arrest. He had not purchased insurance for the tickets and could not cancel or reschedule the trip without losing out on the money he had spent. 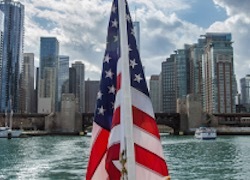 My client had posted a small cash bond and noticed that the conditions of his bond warned him that he could not leave the State of Illinois without permission from the court until the case was over. I met the client at the Belmont and Western courthouse the next morning, had the Clerk of the Court bring his case before the court and were able to obtain permission from the Court for my client to travel to Florida so he could enjoy his vacation with his family. My client was grateful because he could go on this vacation without fear of violating the conditions of his bond. DuPage County Courthouse - IL In 2011 my client was placed on Probation for a Class 1 Delivery of a Controlled Substance case in DuPage County. Early in 2014, the state filed a Petition to Revoke her Probation because she failed a couple of court ordered drug tests and failed to check in with her Probation Officer for 2 months. At the first court date for the Violation of Probation the prosecution was unwilling to give my client another chance and indicated that they would be asking the court to sentence my client to 4 years in prison for the Class 1 Felony. My client had admitted to selling heroin to an undercover police officer and the state argued that she had been given probation by the court over the state’s objection so she did not deserve a second chance. When I appeared in Court with my client in DuPage County I was able to show the court that my client had several events happen in her life, including a pregnancy and a death in the family, and was able to convince the Court to give her another chance to complete her probation. I appeared with her on several status dates throughout 2014, and shortly after the New Year, I appeared with her in DuPage County and was able to convince the judge to have the Petition to Revoke her Probation dismissed and have her Probation successfully terminated. If my client had been found guilty of violating her probation, she was looking at a minimum of 4 years in prison. My client is a Minnesota resident. She was in town visiting some relatives and went into a Kohl’s in Schaumburg to shop for some clothes. She was with her infant daughter who was in a stroller. My client had placed some clothing items inside the stroller and went through the check out lane, paid for a couple of items, and exited the store without realizing that she had left some of the items inside the stroller. She was confronted by store security loss prevention agents in the parking lot, taken back to the store, questioned and the police were called. 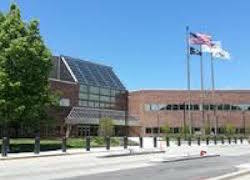 My client was charged with Retail Theft at the Rolling Meadows Courthouse in Cook County. My client had never been arrested before. She was in the process of applying for her citizenship so a plea of guilty to a Retail Theft could cause her to not be allowed to become a citizen. I were able to negotiate with the prosecution and in return for our client performing 30 hours of community service at a not for profit institution, the state agreed to dismiss the charges. 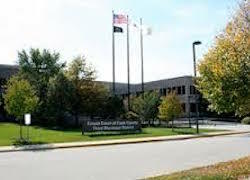 Yesterday, I appeared for our client in Rolling Meadows, presented proof to the prosecution that the community service hours were performed and the Retail Theft charges were dismissed. My client’s ex-wife filed a Petition in DuPage County to have an Order of Protection issued against him. My client is employed by a government agency that requires a very thorough background search and a high level security clearance. If the Order of Protection had been issued, my client’s security clearance would have been revoked and he would have lost his job. Therefore, it was absolutely critical that we defeat this effort to have an Order of Protection issued against him. The Petitioner, our client’s ex-wife, came out of her house at 9 a.m. and found the tires of her vehicle slashed. She had been receiving threatening email messages that she honestly believed were coming from my client. The Petitioner had dropped off her daughter at school and came home at 7 a.m. At the hearing we were able to prove that our client had boarded a flight at O’Hare airport at 7:15 a.m. and arrived in Houston Texas after 9 a.m. I introduced into evidence a copy of the boarding pass, phone records from our client showing him making phone calls and sending text messages from O’Hare and Houston Texas as well as receipts from airport shops and the testimony of my client’s son who testified that he dropped off my client at O’Hare airport in the morning. After hearing all the evidence the court dismissed the Petition for an Order of Protection and my client was able to save his job. 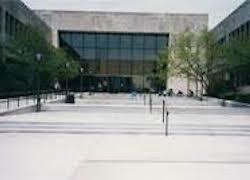 In 2010, my client plead guilty to a Misdemeanor UUW Charge at the Bridgeview Courthouse in Cook County. My client was originally charged with a Felony UUW after the police found a loaded gun in his vehicle. My client was a security guard and had a valid FOID card at the time of the arrest. In 2010 I was able to convince the prosecutor to reduce the felony to a misdemeanor and the client plead guilty to the Misdemeanor UUW. Recently I went back to court and filed a Motion to Vacate the conviction based on the Illinois Supreme Court case of People v. Aguilar in which the felony UUW statute was declared unconstitutional. The Aguilar decision dealt with the Class 4 Felony part of the statute but our client had plead guilty to a Misdemeanor. The state objected to our motion because the conviction was not for the exact part of the UUW statute that was declared unconstitutional by the Illinois Supreme Court in Aguilar. After extensive legal briefs and oral arguments the court granted our motion and vacated the Misdemeanor UUW conviction. As a result our client no longer has a criminal record. May 12, 2014 – Last week, Possession of Drug Paraphernalia charges pending against my client in Kane County were dismissed after the court granted my Motion to Suppress the search of his gun safe inside his house and threw out all of the evidence seized as a result of the illegal search. Chicago Criminal Attorneys - On March 13, 2014, The Judge found my client Not Guilty of an Aggravated Unlawful Use of a Weapon By a Felon after a lengthy trial at 26th and California. UUW by a Felon is a Class 2 felony in Illinois which carries a prison sentence between 3 to 7 years. Since the charge is non-probationable, my client was facing certain prison time if he had been found guilty of the charge. Therefore, this was a very serious case for my client because he would have had to serve a minimum of 3 years in prison if he had been convicted. IL Criminal Attorneys - On November 6, 2013, I published a post discussing how I was able to win a Motion to Quash for an 18 year old young man facing Aggravated Unlawful Use of a Weapon felony charges at the Maywood Courthouse in Cook County. Today I appeared in court on this case, and faced with the court’s granting of my Motion to Quash, the Cook County States Attorneys Office was forced to admit defeat and dismissed all the UUW charges against my client. 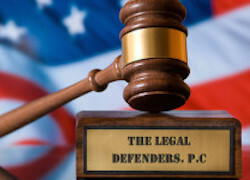 Chicago Criminal Attorneys Last week we won a Motion to Quash Arrest on an Aggravated Unlawful Use of Weapon case pending in the Maywood Courthouse in Cook County. The UUW case involved an 18 year old young man who was facing a felony conviction for carrying a gun on the streets. Last week I did a trial for a young lady, who had no criminal record, who was charged with Criminal Trespass in DuPage County. My client refused to agree to plead guilty in exchange for a minor fine and court supervision. My client demanded a trial and at the end the judge found her Not Guilty and dismissed all the charges against her. After considering the evidence and the arguments the judge granted my Motion for a Directed Verdict and dismissed the charges against my client and found her Not Guilty. My client will be able to expunge her record and will be able to keep her record clean. On a personal note, this victory in DuPage County preserves my winning streak. I have never lost a trial in DuPage County. Aggravated Unlawful Use of Weapon charges against a licensed private security guard have been dismissed by Cook County prosecutors. My client was licensed by the Illinois Department of Professional Regulation and carried a TAN cared which gives him the right to carry a firearm when he is on duty. My client was pulled over by the police for not wearing his seat belt. My client told the officer that he was on his way home from his security job and was carrying a loaded firearm. The police officer arrested my client and charged him with Aggravated UUW. I went to court with copies of the statute and the paperwork from the Illinois Department of Professional Regulation and convinced the prosecutor to dismiss the charges against our client. He should never have been arrested. Go to our UUW page. Chicago Criminal Attorneys - The prosecutor dismissed Domestic Battery charges at the Rolling Meadows Courthouse in Cook County against my client on the eve of trial after I came to court ready for trial with my witnesses and my evidence. My client was charged with committing a Domestic Battery against her sister. My client was 4 months pregnant at the time. She had gotten into a verbal argument with her sister and had gone to court to attempt to obtain an Order of Protection against her sister. When she arrived at court she was arrested and charged with Domestic Battery. My client currently has a Pardon Petition pending before the Illinois Prisoner Review Board to try to obtain a pardon from the Governor for a criminal conviction that had occurred many years ago. A conviction for a Domestic Battery would have ruined her chances of obtaining a pardon. Effective cross examination resulted in a finding of no probable cause and the case was dismissed. My client was originally charged with Possession with Intent to Deliver. The police arrested my client after he fit a description of a person who was shooting a gun. The police then conducted a search of my client’s alleged residence and found, in a shoe box, more than 40 grams of marijuana, baggies, scales and my client’s ID’s. My client was filled with joy knowing that he walked into Court facing serious felony charges and walked out a free man. Not Guilty verdict after a bench trial for a client charged with Aggravated Use of a Weapon ( UUW ) at 26th and California in Cook County. My client was a passenger in a vehicle that was pulled over for a minor traffic violation. The officer testified that when he came up to the vehicle he noticed an open bottle of alcohol between my client's legs. The officer asked my client to exit the vehicle and my client volunteered that he had a loaded gun in his coat. My client was being driven to a private detective agency where he was going to be put to work as an armed security officer. The employer testified that he was waiting for my client to come to the office so he could submit the necessary paperwork to the State of Illinois so that he could get the proper license. My client had worked for the agency in the past. My client was believable and his prospective employer backed him up. The judge found my client Not Guilty of the UUW. 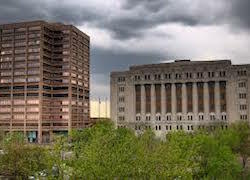 I was able to persuade a Judge at the Bridgeview Courthouse in Cook County that there was no probable cause to charge my client with Possession of a Controlled Substance. My client, who has a lengthy criminal record, was facing mandatory prison time if he had been convicted in this drug case. The police officer testified that he pulled over my client's vehicle for a minor traffic violation. The officer claimed that he suspected that my client had been using drugs so he pulled my client out of the car and searched him and the vehicle. He eventually found a couple of small packets of cocaine in the rear seat area of the vehicle. The officer was unable to specifically testify as to what led him to believe that my client had been using drugs and was forced to admit on the stand that the vehicle my client was driving was not registered to him. As a result, the judge found that the state lacked sufficient probable cause to charge my client with a crime and the drug charges were dismissed. The police, while responding to a call of “shots fired,” saw my client sitting on the front porch of a home with 2 other individuals. The officer called the individuals over to his squad car and when my client stood up he observed a handgun and immediately arrested my client. The officer then testified that my client admitted at the station that the gun belonged to him. The case went to trial at the Bridgeview Courthouse in Cook County. The judge found my client Not Guilty of the Unlawful Use of Weapon charges and found that the officer was not credible after effective cross examination. The gun was not found on my client and the officer could not be sure that it belonged to him. The alleged statement was not signed or recorded and there were no witnesses to any statement made by my client. My client was a security guard at the time of the arrest and had been unable to obtain any employment since this arrest and was looking at a bleak future. Needless to say, my client was relieved that he would have no criminal record and would be able to go on with his life without being labeled a convicted felon.